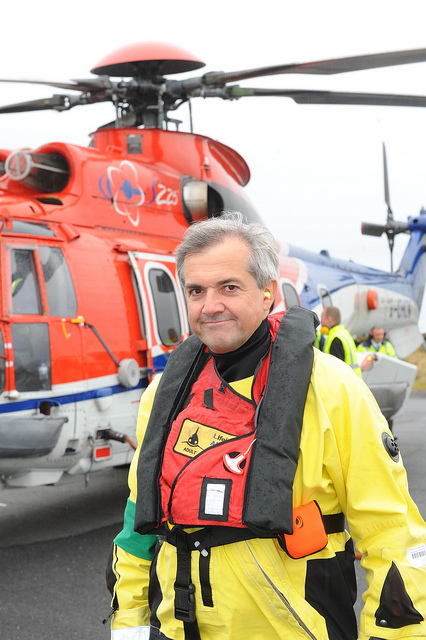 What is Chris Huhne really up to? In his own words Chris Huhne described AV as ‘an ill-fitting corset attempting to squeeze all the diverse strands of opinion in our society into an inappropriate and deeply uncomfortable shape’. So if he is not a true fan of AV why is he getting so upset during the referendum campaign? Could it be that Chris Huhne is simply posturing in the media to members of the Liberal Democrat party? I would not be surprised if, after the referendum failure, he challenged Nick Clegg for the leadership once again. We have to ask if a man whose own campaign coined the name ‘Calamity Clegg’ is really all that concerned about others making personal attacks on Mr Clegg. I think it’s much more likely that, with failure to win the referendum, Mr Huhne sees his chances of saving his parliamentary seat slipping away. If it had not been for tactical voting, which Mr Huhne says he wants to get rid of, he would not even be an MP now. Prior to the election he pulled out all the stops in his attempt to woo the Labour voters with his left-wing credentials. After the election he abandoned his pledges with unsightly haste in order to secure personal power. Mr Huhne’s only chance of saving his seat at the next general election is either that the Conservatives support him as a coalition candidate, unlikely now, or that the Labour voters forgive him for all his broken promises. Mr Huhne’s ridiculous outbursts and name-calling is merely an attempt to re-establish his left-wing credentials with the Liberal Democrat party members so that he can become their leader and then either commandeer himself a safe seat or try and con Labour voters in his current constituency to trust him again. So the question is not if but when Mr Huhne will launch another bid for the Liberal Democrat leadership and is he really so emotionally immature (Nick Clegg’s description) not to realise that nobody, from any side of the political agenda, trusts him anymore. ← Working for you all year round?? Chris Huhne is an MP thanks to UKIP! In 2005 UKIP took 1,669 votes and Chris Huhne’s majority was 568! Is there any evidence to suggest how many UKIP voters were Tory defectors? In the 2006 local elections, something very rare happened. Eastleigh Central had TWO seats up for grabs. Each voter had TWO votes. UKIP fielded ONE candidate, obliging UKIP voters to use their 2nd vote for one of the three main parties. We monitored half the ballot papers and our mathematical wizards calculated that 64.5% of UKIP voters also voted Tory, with about 18% voting LibDem and the same voting Labour. Roughly: For every LibDem or Labour voter UKIP gets, it takes THREE Tory voters! Of the 1,669 UKIP votes in 2005, roughly 1,076 would have been disgruntled Tories. We can say that thanks to UKIP, Chris Huhne is now Eastleigh’s MP! UKIP splits the Tory vote, not the LibDem or Labour vote! Because UKIP put Chris Huhne into Parliament in 2005, that enabled him to expand his majority to 3,864. I predict that in the next General Election, Chris Huhne will increase his majority back to around 10,000! I also predict as I have done in the past, that Chris Huhne will be the next leader of the LibDems (by Autumn perhaps). The tragedy for the Tories is that despite all their hard work in Eastleigh, because of their pro-EU stance, they cannot get the core voters to vote for them. UKIP aggravates this by attracting Tory voters and also by persuading untold numbers to abstain. For this reason, the Tories fail to win vital marginal seats. Unless the Tories oust their treacherous pro-EU leaders and commit to an IN-OUT REFERENDUM (or outright withdrawal) they will only ever get into number 10 in future by crawling to the LibDems. For Tory diehards, this is unthinkable and for this reason, I predict a MASSIVE growth in the UKIP vote after the next General Election. I have to agree with john and Pete to an extent. AV looks doomed and Chris Huhne – a superb tactician who probably should have won the Lib Dem leadership last time out- is preparing for the aftermath with the tough guy act. A few months ago it looked like he was drifting further to the right and was going to settle for the ministerial life with a peerage at the end of it. Bookies had him out of contention as the next Lib Dem leader and put younger guys like Danny Alexander well ahead. Now bookies are cutting the odds on a snap election (both leadership and general) and have Huhne neck and neck with Tim Farron as the next party leader. In fact I have just checked this morning and both Paddy Power and Betfair have him as favourite. Interesting that Farron voted against the student fees and Chris Huhne skillfully avoided the vote. I have to confess I am rubbing my hands together in eager anticipation of Mr Huhne becoming Deputy Prime Minister! Stop attacking this fine upstanding family man. Have you not seen his last election papers. Full of his family and reams of text tell us how committed he is to his family. A few days prior to the recent elections I wrote a letter, published on this website, stating that I believed Mr Huhne was preparing to challenge Nick Clegg for the leadership of the Liberal Democrats. Around about the same time several of the national newspapers ran articles making similar predictions. Well the elections have come and gone and Mr Huhne has not made the expected challenge. I can only wonder if part of the reason for this is due to the fact that it was so widely predicted. Could it be that having his top-secret plans outed in such a way made Mr Huhne aware that his challenge would be viewed as nothing more than a cynical move carried out by an ambitious politician with an inflated sense of self-worth? It doesn’t look like Mr Huhne will be making a challenge just yet but there is still the possibility that he could resign his Cabinet position. A fact that Eastleigh residents may find interesting is that as a Cabinet minister Mr Huhne is eligible for a bonus, however this bonus is only payable should he remain in the Cabinet for a full year. It will be interesting to see if Mr Huhne does resign and if so will he wait for his year to be up. By my calculations the date we should be looking at is 16 May. Let’s see what Mr Huhne does now that info on his bonus has also been outed. I hear the sound of Maria Hutchings revving up her engines…let her go boys!